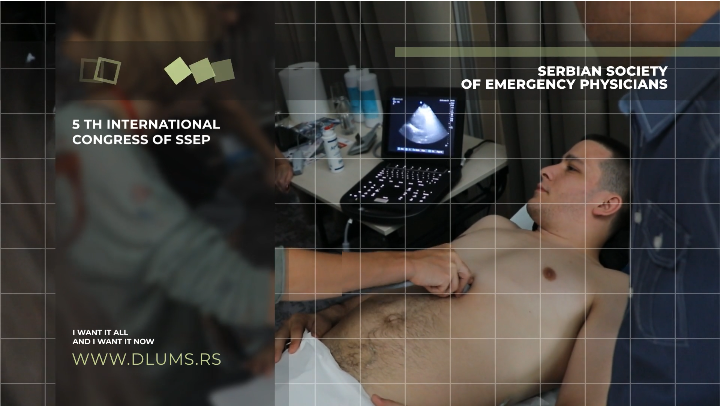 Welcome to the pages of the new, redesigned website of the Serbian Society of Emergency Physicians. We hope this will be the place for our joint gathering in the search for better, more modern, more reliable and successful emergency medicine in Serbia. Our desire is to collect as many websites as possible through our site, but also through our numerous educational programs, on our way to better emergency medicine. Serbia on 23-25 may and we will be there. Come and join us! Heading to new successes, new horizons in EM, we invite you to another very interesting, scientiﬁc and pleasurable event, this time in Pirot, little town in southeast of Serbia, that calls itself a gate of east and west. Download the first notice regarding the 5th International Congress of DLUMS in Pirot. Official Journal of The Serbian Society for Emergency Physicians. An international peer-reviewed journal for health professionals and researcheres in emergency medicine. What is Emergency Medicine Day? May 27 was introduced as the European Emergency Medicine Day and was promoted by the European Society for Emergency Medicine - EuSEM, which we are proud members and thus representatives of emergency medicine in Serbia. With the official marking on May 27, we want to unite the general public and people who are crucial in decision-making to think about Emergency Medicine, forming the direction of its development. We believe that it is necessary to develop awareness of the need for improvement and change in the organization of emergency medical systems, in order to reduce mortality and negative health consequences after any urgent medical condition or event. Through our activities, we encourage citizens, patients, health professionals and institutions to talk about Emergency Medicine and create projects for the years ahead. The strongest voice must be in the areas where there is the greatest need for improvement in the field of specialization in Emergency Medicine, the organization of emergency services and where there is a need for standardization of procedures. The goal is to explain that taking care of emergency situations is much better when we have competent professionals, doctors - specialists in Emergency Medicine and nurses who are educated for the care of vitally endangered patients as well as all associated structures and actors who participate in an organized system dedicated to emergency care. Show the whole society as well as the political factors in the decision-making process that such an organization will be useful in reducing the incidence of morbidity, mortality, but also showing significant savings. Fast and competent first response to life-threatening conditions such as heart failure, stroke, heart attack, trauma, respiratory arrest, bleeding or sepsis. An effective and quality response to all other emergency situations. Barrier and protection against violence and abuse.